Konya: The tradition of carpet weaving in Konya, former capital of the Seljuqs, goes back at least to the 13th century. 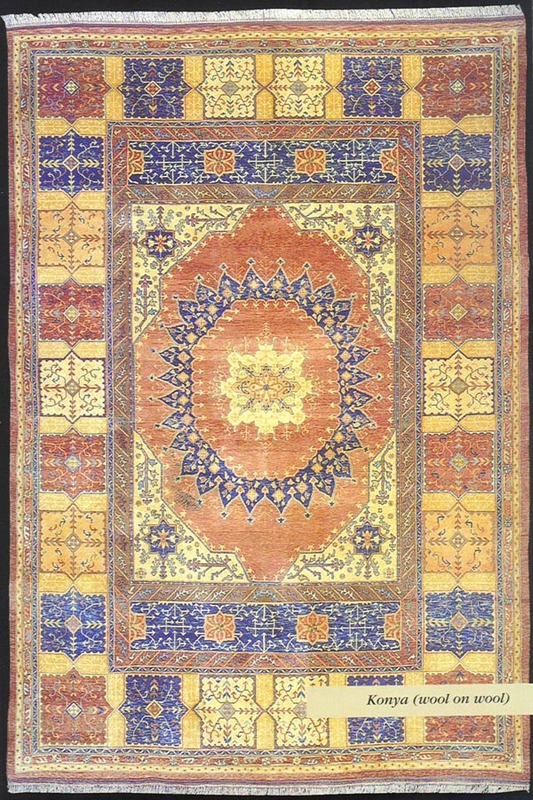 Konya is a producer of carpets of pure wool including the famous Ladik carpets. The dominance of pastel colours in Konya carpets is noticeable. Red yellow and green are frequently seen.